Spring is that time of year when we celebrate and see rebirth all around us. The trees are flowering, the hills are green, and as the weather turns warmer, we venture outside more, with a renewed sense of beginning. Harness the invigorating mood at your Bay Area fish market by reminding customers that when they take home fish for dinner, they are also taking home a vehicle to better health. Fresh fish is fast gaining a golden reputation. As more and more health experts discourage eating red meat and processed protein, seafood is being lauded as an alternative that not only packs a big protein punch, but is full of heart healthy fats and other nutrients. One idea to highlight the benefits of seafood this Spring is to post the bragging rights each fish comes with. 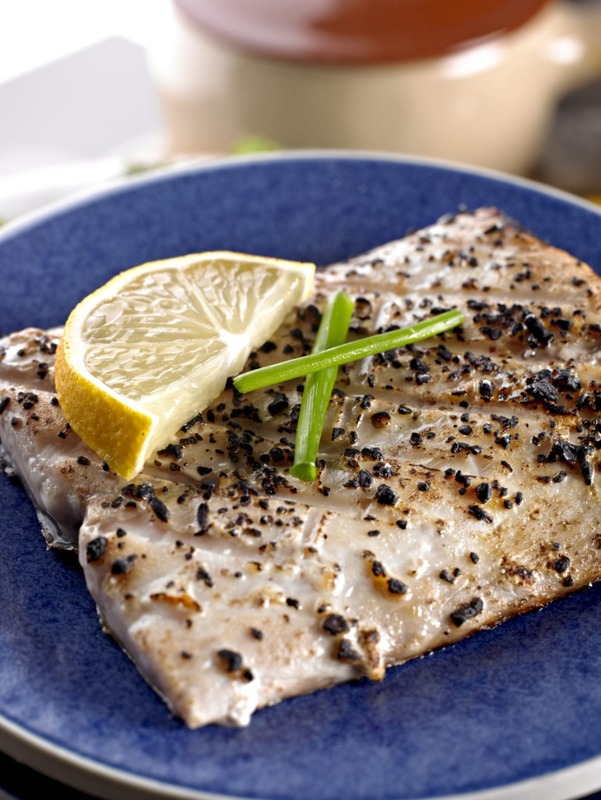 For instance, tuna and halibut are rich in vitamins B-6 and B-12, potassium and omega-3 fatty acids. Oysters come high in vitamins C, B-12, zinc, selenium, and iron. Sometimes the benefits go far beyond health. For example, catfish are one of the most sustainable, quality-controlled fish available, thanks to farming techniques and their highly efficient diet. Reading facts like these at the fish counter could lead your customers to buy more seafood, more often. Spring also naturally comes with renewed intentions to stay in shape and eat healthier. That’s why it’s the perfect time to offer customers no-hassle, no extra calorie dinner options or recipe ideas, like the following. By the way, Spring officially begins March 20th. You can fill all your sustainable fish needs through Pucci Foods, a Bay Area leader in ethically sourced, delicious and nutritious seafood. In a large skillet over medium heat, melt 1 tablespoon butter and olive oil. Add mahi mahi and season with salt and pepper. Cook until golden, 3 minutes per side. Transfer to a plate. To skillet, add remaining 2 tablespoons butter. Once melted, add garlic and cook until fragrant, 1 minute, then stir in lemon zest and juice and parsley. Return mahi mahi fillets to skillet and spoon over sauce. Garnish with more parsley and serve. Preheat a convection oven to 350 degrees. Put the chopped garlic together with the extra-virgin olive oil and a sprinkle of salt in a nonstick oven-safe skillet. Put the swordfish steaks on top and rub them around the pan. Turn them over, so they are all coated in oil and garlic, and add a little extra salt on top of each steak. Bake for about 15 minutes. Then, add the lemon juice and chopped parsley and bake for another 5 minutes. In a pot over medium-low heat, melt butter. Add onion and cook until fragrant and soft, about 5 minutes. Then add garlic and cook until fragrant, 1 minute more. Add diced tomatoes, wine, and parsley and stir until combined. Season with salt and pepper. Add mussels (or clams) and simmer until all shells are open. (Discard any shells that aren’t open.) Garnish with more parsley and serve with grilled bread.